Disclosure: My family and I received tickets to attend Freckleface Strawberry the Musical at Upper Darby Performing Arts Center. All opinions, as always are my own. 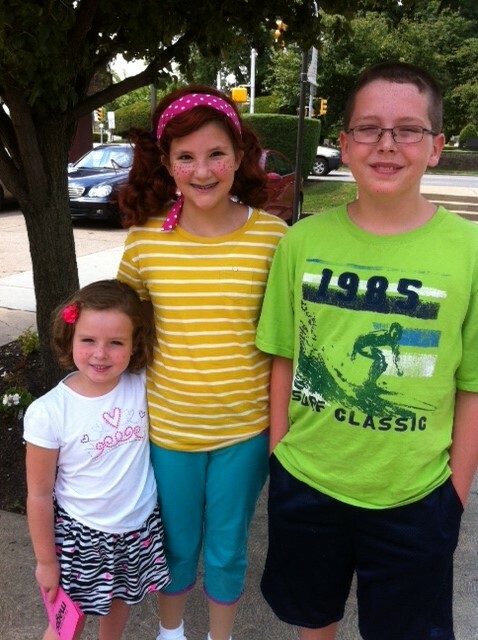 This morning my kids and I had the pleasure of attending Upper Darby Summer Stage’s Freckleface Strawberry the Musical at Upper Darby Performing Arts Center. 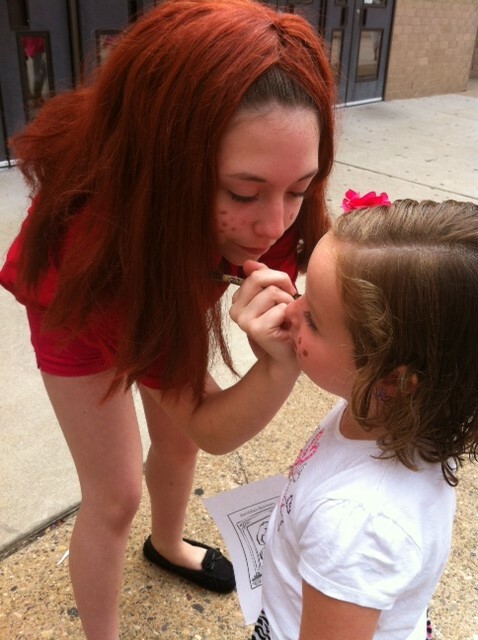 Prior to the show, tables were set up outside with a coloring station for the kids – and a girl treating attendees to their very own complimentary freckles! 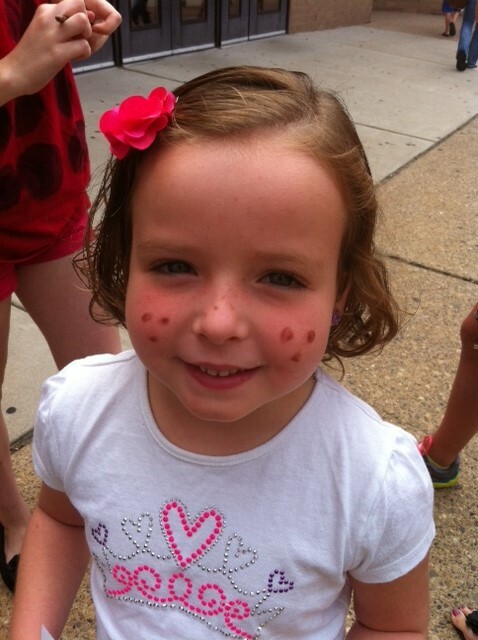 Since my son already has a face full of natural freckles, my daughter was thrilled to have a few of her own painted on her cheeks. The show was extremely kid friendly, bright and energetic. 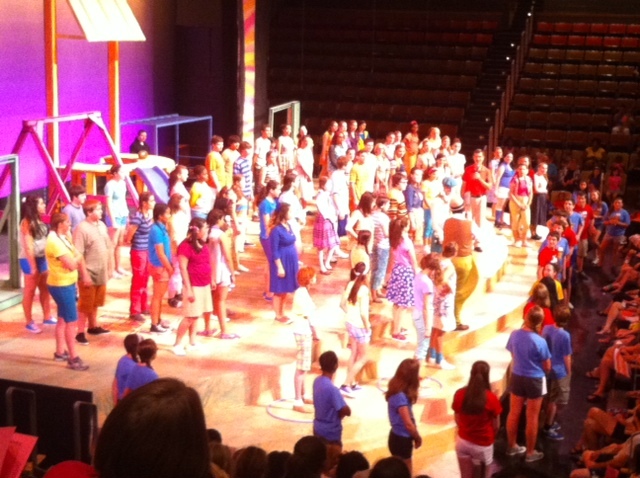 I was amazed at the talent and beautiful voices in this young cast. The props were fantastic and really added to the overall show. I loved that it was funny and inspirational – with a wonderful message that we can all relate to. With the exception of my daughter’s fascination with wiggling her seat up and down, my kids sat through the entire show with their eyes glued to the performance. It is certainly a wonderful opportunity to introduce the magic of the stage to kids ages 4 and up and a perfect first theater experience. After the show, all of the characters from the show step outside to meet and greet the guests. My kids were especially excited for the opportunity to meet Freckleface Strawberry and get an autograph and picture. Prior to leaving my kids were already asking if we will be coming back to see Upper Darby Summer Stage’s next show, A Year with Frog and Toad, which is running August 7th through 9th. Tickets are just $6-$9 per person making it an affordable and fun family day or evening out! Also, older kids and parents will want to check out Upper Darby Mainstage Fiddler on the Roof performing August 2nd, 3rd, 9th and 10th with tickets costing just $9-$13. No doubt we will be heading back to enjoy more of these fantastic family friendly shows! 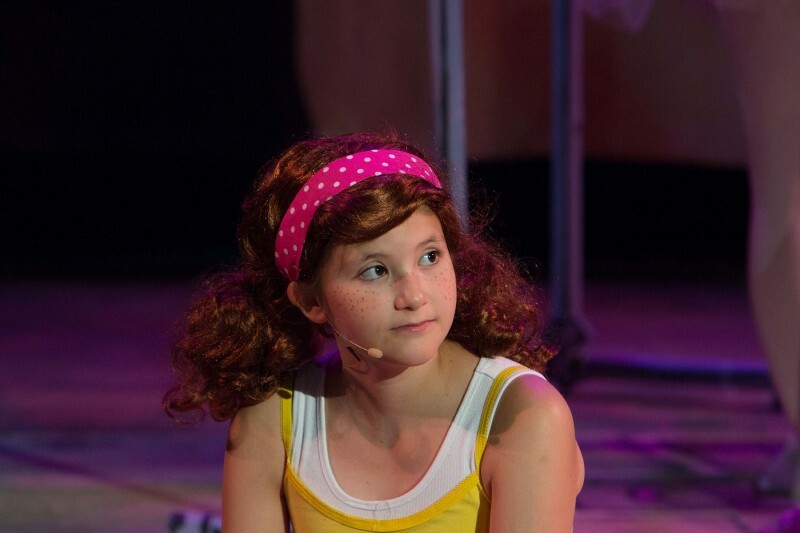 If you are looking for something fun to do with the kids tomorrow or Friday, I highly recommend heading over to Upper Darby Performing Arts Center to see Freckleface Strawberry! It’s a show the whole family is sure to enjoy! Love your post! I have a plan to take my son to the theatre this summer! I love how adorable the freckles look! What a cute show! I received a postcard about Fiddler on the Roof. We had such a great time watching The Nutcracker there last year. It was the perfect length for my younger ones. Great review and SO much fun to see you and your kids at the show, too! We loved it and can’t wait for Willy Wonka now! This is such a great program. My friend who works with the program always talks about how wonderful the kids are! Wow this looks so cute! I love kids exploring their talents. Thank you for sharing!